One of the best organised and largest ZERO archives is certainly at the recently founded Japanese Yayoi Kusama foundation in Tokyo. Thousands of original photo prints, newspapers, posters, publications were collected by the “obsessive” Kusama, from the mid fifties until today. Not only a pleasure to work with the staff, there is a big part of Europeans sixties history “hidden” in this archive, and thus a must for researchers. The 0-INSTITUTE is grateful to work together with the Kusama foundation on those years that Kusama was active in Holland, Germany and Belgium. Recent discoveries of a large number of photos and letters made us to decide to strengthen this collaboration, in collaboration with the Dutch RKD, Museum Boymans van Beuningen and the EICAS. The just opened and extremely good visited Kusama museum is a pleasure for the eye, but until now only with recent work from Yayoi Kusama! The O-INSTITUTE is looking forward to work on an exhibition with Kusamas' friends from the international ZERO network. Not far from Milan, in the historic village of Soncino, Palazzo Meroni was owned by the parents of Piero Manzoni. It was in this Palazzo, that Manzoni had his first studio, and where he worked in the summer. Just outside the village is where his grave is now. But not only Manzoni lived and worked here, also Piero Dorazio and Enea Ferrari lived and taught here. The Herning Art Museum (HEART), together with the 0-INSTITUTE and a German private investor, bought the Palazzo to organize in the near future exhibitions, to open studios for visiting artists, and to bring the "Biennale Socle du Monde" from Herning to Soncino. Piero Manzoni, who had one of his first sales exhibitions in the Netherlands; and who was good friends with Henk Peeters, Herman de Vries, and Jan Schoonhoven is also for the Netherlands and the international ZERO network an important historical figure. And as several Dutch museums have important Manzoni works in their collection, and as the 0-INSTITUTE holds correspondence, films, and publications from and about Manzoni, the 0-INSTITUTE will collaborate with the Palazzo Meroni on research and exhibitions. 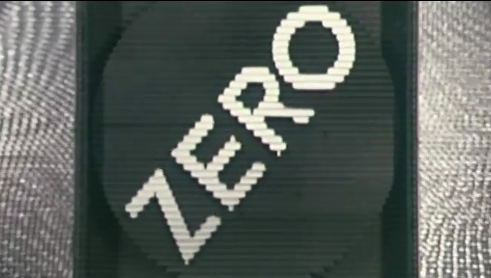 Zero was dominated by men. This is the prejudice, and a look at the museum and market presence of artists like Lucio Fontana or Günther Uecker seems to confirm it. It is forgotten that even artists such as Nanda Vigo, Rotraut, Hal Busse or Yayoi Kusama played a not to be underestimated role in the Zero network formed in the late 1950s. Tim Ackermann of Weltkunst has followed her lead.